Conway, AR – Conway Corp has been broadcasting Wampus Cat football for 18 seasons and this Friday will be broadcast number 200 when Conway hosts Ft. Smith Northside. The company began broadcasting Wampus Cat football games in 2001 with announcers Jeff Matthews and Jim Files, producer Steve Stone and executive producer Linda Johnson. Games were broadcast on Conway Corp Channel 81 and were only available on a tape delayed basis the week following and each game was on the air twice. In the early days of the broadcast, only Stone and his production crew were at games on Friday nights. The game would be filmed and then edited into its final version before Matthews and Files would provide commentary. Eventually, the announcing crew would join the production crew on Friday nights and games would be recorded live for playback on tape delay. At the end of the 2014 season, for the first time, Conway Corp would broadcast Wampus Cat games live. Beginning with week 10 game in Bryant when the Wampus Cats completed a perfect 10-0 regular season. The following year the company would broadcast road games live and it was met with great response. Beginning this season, both home and road football games are being broadcast live to not only Conway Corp cable customers – but to any internet connected device in the world through YouTube on the company’s website www.conwaycorp.com/wc2go. Johnson and Matthews remain from the first season. Producers are now Wayne Bailey and Ryan Tucker, the pair took over more than ten years ago. In 2016, Levi Gilbert replaced Files in the booth after spending time in various roles with the crew in previous seasons. The 2018 production team includes Director Ashtyn Brown, Stream Consultant Austin Ferguson, Social Media Content Justin King, Graphics Kara Kirby, Camera Operators Greg Marcum and Waid Rainey, Sideline Camera Operator Robin Sparks and Statistician Scott Taylor. The football broadcast has been recognized four times by the Mid-America Cable Association with awards for excellence for local programming. 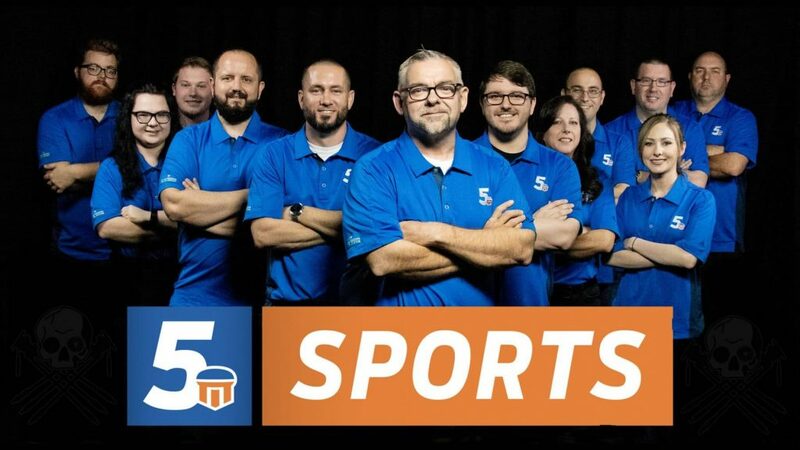 For more information about Channel 5 Sports visit www.conwaycorp.com/Channel5.